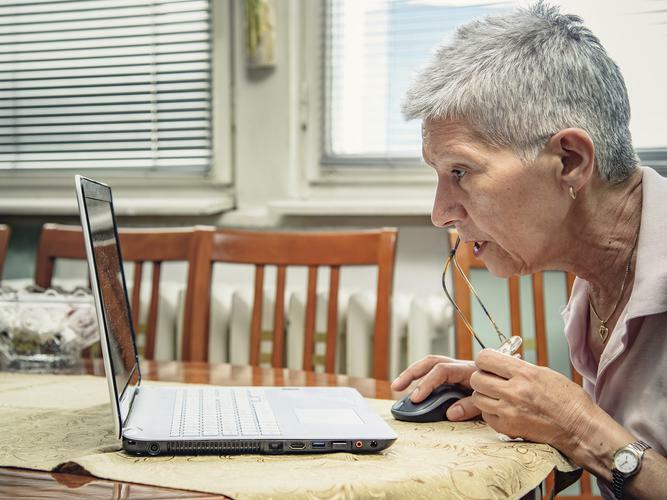 The latest results on Australia’s Digital Inclusion Index have revealed that people aged over 65 are among those scoring the lowest on digital inclusion. Focusing on three key areas of digital inclusion: access, affordability and digital ability, not only does it see older Australians among the lowest scoring, it also shows that as older people age, their digital inclusion declines. It also reports that among older Australians, women are less digitally included. While the Australian Government has been offering digital support for older Australians through Broadband for Seniors since 2008, National Seniors Advocate Ian Henschke says it is clear from the research that more work needs to be done to ensure older Australians are not missing out. “The facts are quite clear – there is lots of research and data that shows that we have got issues when it comes to digital inclusion and older Australians and we have to accept the fact that it is a big problem,” Mr Henschke says. “The over 65’s is a large group of people and something that we need to take into account is that more people are accessing services online and to have this large group of people missing out is a huge issue. The new Be Connected program that the Australian Government announced late last year is currently in the development stages and aims to build on the framework of Broadband for Seniors to provide a family and community approach to supporting, coaching and teaching older Australians to improve their skills and confidence using digital technologies. A spokesperson for the Department of Social Services, that is running the Be Connected program in conjunction with the Office of the eSafety Commissioner, says that the government is committed to ensuring older Australians have the digital skills and knowledge to take advantage of new technology and stay connected with their friends, families and communities. “The Australian Digital Inclusion Index 2016 and 2017 confirms that the divide among older Australians aged 65 years and over is significant and recording the lowest digital inclusion index of any demographic,” the spokesperson says. “This is a concern to the Department of Social Services as we have a strong focus on improving the lifetime wellbeing of people and families in Australia, especially those who are vulnerable or disadvantaged. Mr Henschke has also raised concerns that older Australians are missing out on deals and offers made exclusively available to online users and those using technology. “There are substantial discounts and offers available online and to those who pay through technology that older Australians are unable to access because of their digital illiteracy – it means they are missing out,” he says. “Even vital health services are online like My Aged Care which provides access to aged care facilities and services. While admitting that there are still some older Australians who will not want to be online and want to do things the way they have always done, Mr Henschke makes note that older Australians want access to the digital world and need education. “I’ve heard older Australians say that they want to do things the old way and it is a generational thing which may take 15-20 years to see digital inclusion among all Australians,” Mr Henschke says. “My advice for older Australians who are looking to boost their digital literacy and inclusion and make the most of what is on offer is to use their local library services. “Ask there about how to use the computer – it’s an affordable option because you don’t need to pay for the technology or the access to the Internet which is very costly. The Australian Government’s Broadband for Seniors will remain operational for supporting and working to educate older Australians until the end of September 2017 with the new Be Connected project launching in late October.